As many as 17 persons were killed and 15 were injured in a collision between a truck and a Roadways bus on Bada Bypass in Bareilly in Uttar Pradesh on Monday. Both the vehicles caught fire on colliding. A total of thirty-seven passengers were on board the bus. The injured have been taken to the district hospital. The doctors believe that death toll is likely to increase. CFM District Hospital, Dr. B.C. Yadav told ANI, "The bodies were burnt outright to an extent that it is arduous to figure out the gender of the corpses. 15 have been injured and are admitted to Shri Siddhi Vinayak Hospital and one of them will be referred to Lucknow. The death toll is likely to increase." 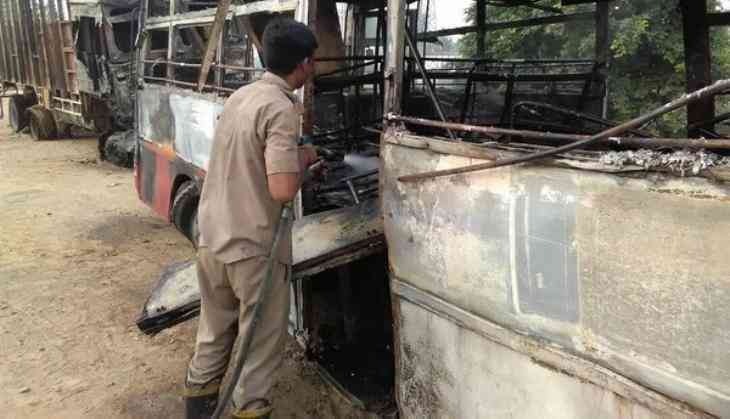 The bus belonging to Gond depot was commuting to Uttar Pradesh's Bahraich from Delhi. The accident took place around about 2:00 a.m.